PreSonus LIVE – Straight outta Orlando! 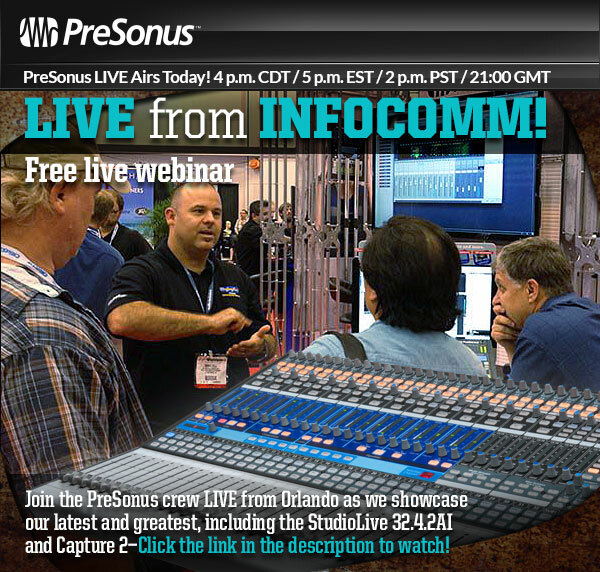 Join us for PreSonus LIVE today – straight from InfoComm Show in Orlando! We’ll be showing off the StudioLive 32.4.2AI!